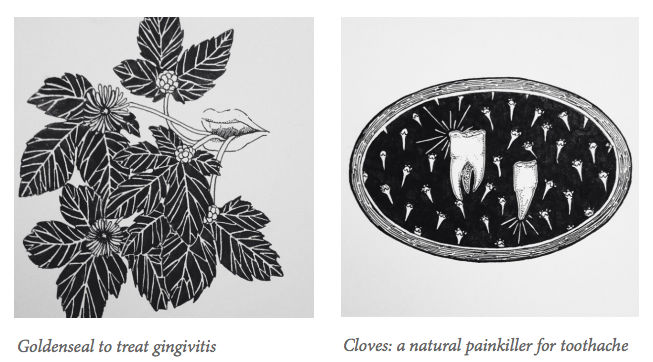 Herbal cures for whatever ails you. 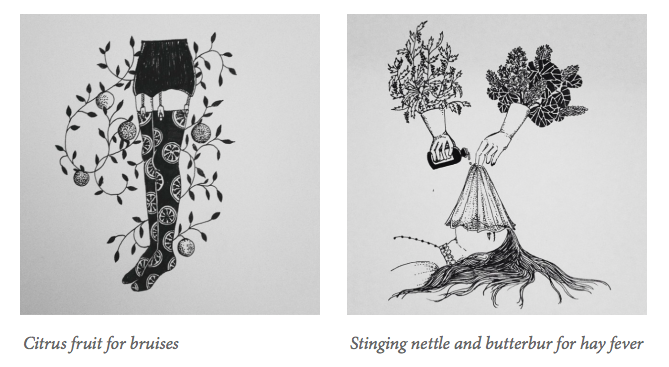 Blogger and artist Catherine of Wolf Eyebrows took to Instagram this summer for a 30 days project in which she sketched medical ailments and their natural remedies. The results are just great—albeit a little bit gross. But I don’t find that off-putting. There is so much humor in each pretty little sketch! On a related note, I’m learning how to make herbal tinctures. I’ve dabbled in foraging—though who in Maine hasn’t gone out looking for fiddleheads? 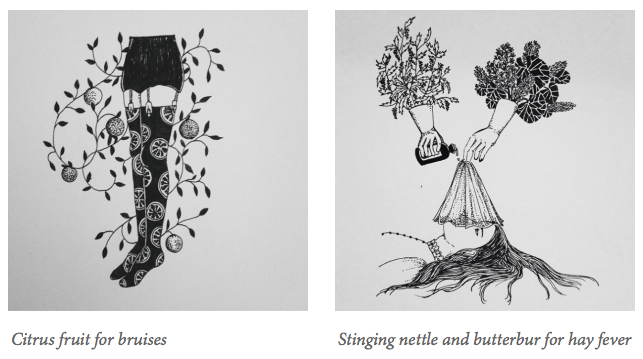 It’s practically a rite of spring—but herbal medicine is new to me. I love the idea that we can cure ourselves with leaves and petals and roots rather than pills and needles and plastic. Admittedly, that idea is particularly attractive at the moment, seeing as I don’t have health insurance, but there’s something deeply appealing to this highly independent, mildly prickly lady about being able to fix my damn own body without calling for help. 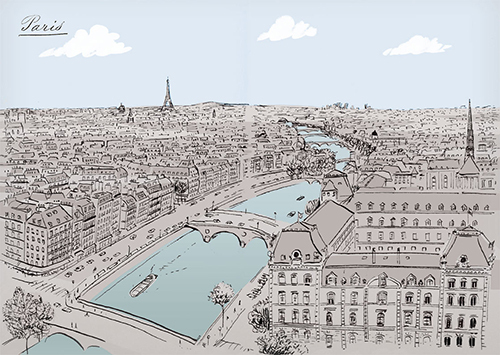 Jason Brooks puts Paris on paper. Fashion illustrator Jason Brooks has just managed to bump Paris onto my “worth it” plane ticket list. I never really wanted to go to Paris. I’ve always been more attracted to isolated places, like Alaska or Siberia, than big, beautiful, old cites. Though describing it now, I realize I do like those crowded places, too. Just Budapest, not London. Philadelphia, not LA. I’m picky, I guess. But I am veering too far off topic. 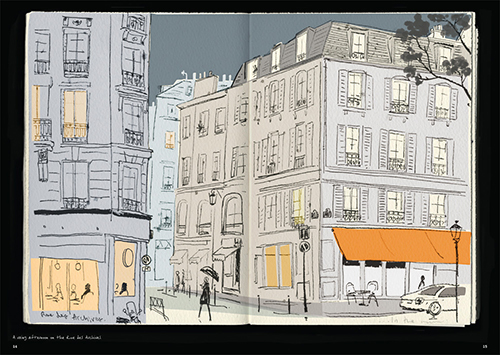 Jason Brooks is publishing a book of his sketches of Paris. They are, by their very nature, wonderfully romantic. How can a drawing of a street be romantic? I don’t know. It just is. That’s the entire point of Paris. It exists solely for the macaroons and tulips and rainy, hazy days, and the entire idea of Spring in Paris and love in Paris and that lady who fell in love with the Eiffel Tower and married it. Clearly, she took it too far, but Paris has that je ne sais… Ugh, I’m sorry. Just look at his book.